We are delighted that a number of our S5 and S6 English students are today taking part in the second National Theatre workshop on The James Plays – three plays about James I, II and III of Scotland by Rona Munro and directed by Laurie Sansom. The James Debate Project uses themes from the plays to discuss and explore various issues and help students build their debating skills. Students will be debating the motion “We learn from history that we do not learn from history” and three students will be lucky enough to see all three James plays and take part in a further workshop in February. The James Plays will be performed at the Festival Theatre this February. For more information click or tap here. At this time of year when the temperature is very cold it is very important that you stay safe around ice. 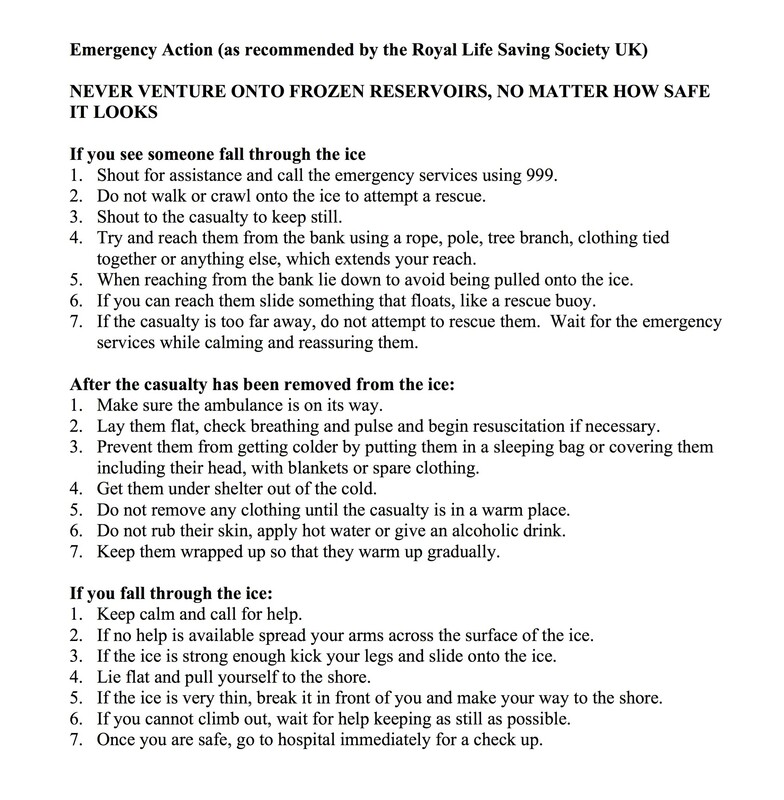 NEVER VENTURE ONTO FROZEN RESERVOIRS, LAKES OR PONDS, NO MATTER HOW SAFE IT LOOKS. Please read over the emergency actions below from the Royal Life Saving Society.